The article below appeared in the December 2013 issue of the American Bar Association’s ABA Journal Magazine, the leading publication for practicing attorneys in the United States. The article profiled Linda Dardarian and Lainey Feingold and our method for resolving complex civil claims without litigation. Linda and I have used Structured Negotiation for almost twenty years to improve access to information and technology for the blind community. Other lawyers have begun using the process as well. For a list of all settlement agreements reached through the Structured Negotiations process, visit the Settlements page of this website. All the press releases that have been issued as a result of our settlement agreements can be found on the Structured Negotiation press release topic page. This article can be read on the website of the ABA Journal. Catching flies with honey is not the default strategy most attorneys use to resolve disputes. 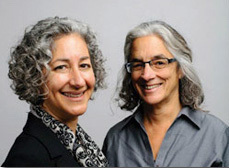 But Lainey Feingold and Linda Dardarian, both longtime California advocacy lawyers, have worked out a method that avoids conflict, costly litigation and protracted time in court—while still yielding beneficial results for their clients. The process they call “structured negotiations” has been used mainly to achieve improved access for the blind, including ATM machines that talk, websites embedded with code to decipher text and photos, and tactile point-of-sale devices in grocery stores. Structured negotiations differ from mediation and other forms of alternative dispute resolution because typically no third party is involved. Instead, both sides collaborate closely as a team to solve a problem. The process often begins when a deficiency is spotted in some mainstream application—often technical in nature—that renders it inaccessible or cumbersome for some population of users. A demand letter is then sent to decision-makers at the sponsoring corporation or other organization in lieu of a complaint. “It’s a very tricky letter to write because you want people to engage without getting too defensive,” says Feingold, noting that patience is essential. It takes time, she says, to get buy-in on the process; once that happens, an alliance is formed and both sides tackle the issue together. Feingold and Dardarian have been jointly working on disability issues using this approach since 1994. It was then that they first deployed structured negotiations to persuade several U.S. banks that their early ATMs needed to be reconfigured to offer blind customers access by incorporating interactive audio prompts, among other features. They backed their claim with the newly enacted Americans with Disabilities Act. She was amazed by the level of sensitive information available to her side once collaboration began. The lawyers, and representatives from the blind community, participated at a technology lab at a major bank, where they were active in the development process for the new technology. Bill Raymond, former head of ATM services for Bank of America, recalls that structured negotiations with his bank were completed in less than six months in the talking-ATM matter. And all the while, he says, the plaintiffs were focused on a tangible outcome, not monetary relief. “They wanted to make ATMs available, to use ATMs as an example to other industries within the U.S.,” he says. “How can we make this happen in a reasonable way?” Because the parties worked cooperatively, the bank had the latitude to implement the new technology for its 12,000 existing ATMs in a cost-effective way, he says. Dardarian and Feingold have since procured settlement agreements from some major organizations: Trader Joe’s, Target and other retailers for improved point-of-sale devices; Major League Baseball for Web access to games; and the University of California San Francisco Medical Center to improve accessibility for patients, among others. Their fees, Dardarian says, are determined by the lodestar method and paid by the corporations or groups they negotiated with. Economic considerations may be one reason structured negotiations and other peaceful methods of settling legal disputes are catching on, says J. Kim Wright, a world-traveling attorney who studies integrative law, the practice of using the law to solve problems without confrontation.